In these winter months nothing is more fun than having a fondue party with your friends or family! 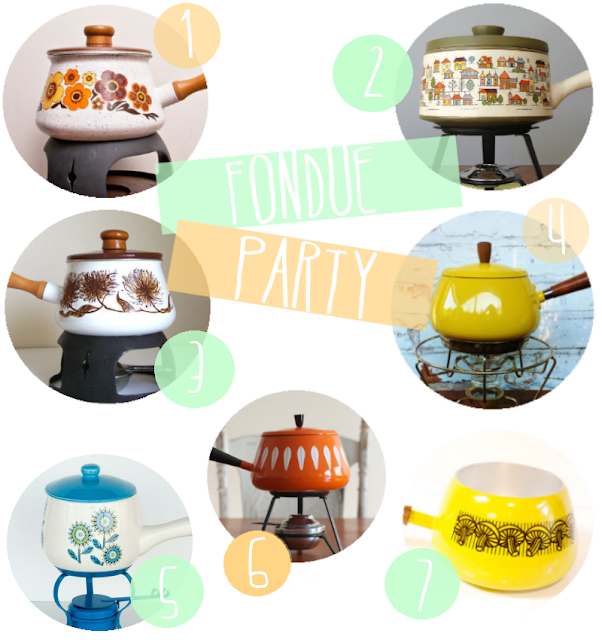 I love all of these fantastic retro fondue pots.Their bright colors and funky patterns are sure to be a hit with your guests! good memories, now i want my own kitch fondue pot, thanks for sharing. So much retro goodness! Love! Fondue! Oh, I've never done fondue before, but now I want to try it... if only so I can use one of those fantastically retro pots! Following from the GFC hop too :) Hope you can follow as well.. Have a wonderful day! !